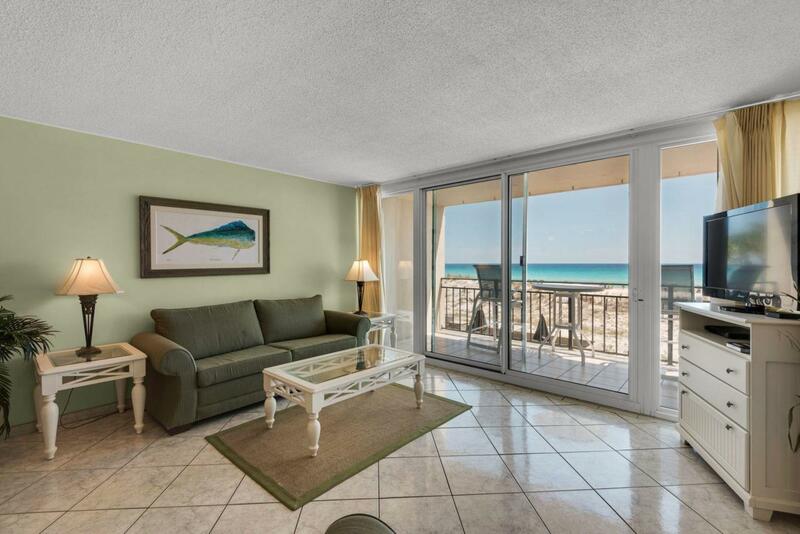 RELAX AND ENJOY LIFE AT YOUR CONDO JUST STEPS AWAY FROM THE BEACH ON BEAUTIFUL OKALOOSA ISLAND! Great views of the emerald green water and sugar white sandy beaches. Spacious living area with tile flooring and sliding glass doors that lead out to the balcony. Dining area opens into the living area making entertaining a breeze. Light and bright kitchen with raised ceiling, crown molding, recessed lighting, lots of cabinets and counterspace and a breakfast bar. Large master bedroom with new closet doors and a private bath. Half bath conveniently located for easy access. Breakers amenities include: 24 hour front desk check-in and reservation service, security, association room for large parties, beach chair service, 2 Gulf front pools, fitness center with sauna, lighted tennis courts,gas grills and picnic area. Call us today to take a look inside and live the DREAM! !